Got those nasty hard water stains? 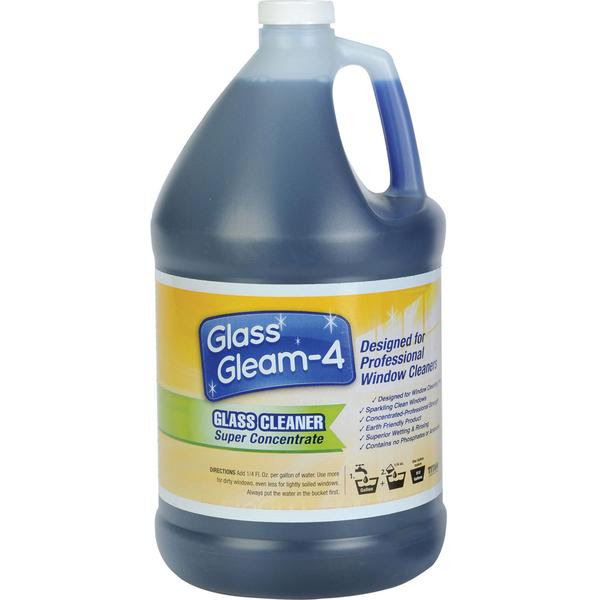 Try Glass Gleam 3 or 4! A superb concentrated additive to water. Designed specifically for cleaning glass and window films using a squeegee. Don’t know the difference between GG3 and GG4? Find out here! GG3 reduces drag on squeegees as it stays wet longer and has a pleasant fragrance. This will leave no haze, even on polymer treated surfaces. There is almost no bleed back with the high visibility orange color. This product is biodegradable with no phosphates, ammonia, or hazardous chemicals. GG4 stays wet longer on hot or windy days and does not foam up. This product is biodegradable with no phosphates, ammonia, or hazardous chemicals and leaves no haze, even on polymer treated surfaces. 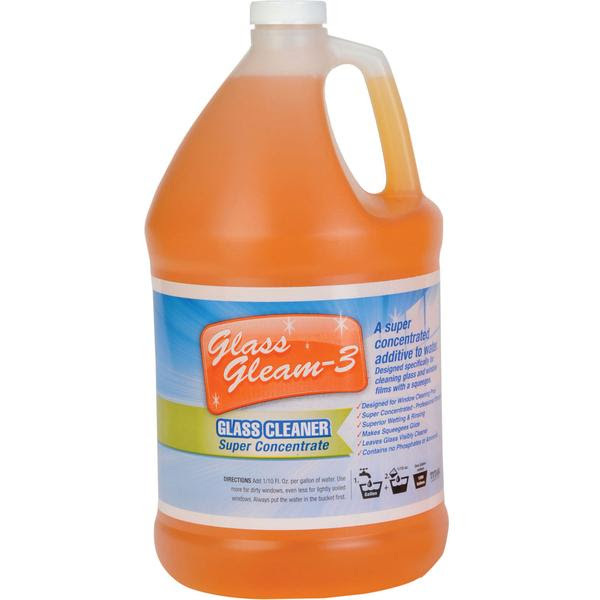 Try Glass Gleam with Professional Squeegee Rubber! This rubber stays in close contact wit the glass and is clearly one of the key parts of a good squeegee. Durability testing on the rubber guarantees a high quality blade that is resistant to elongation and wears well with no streaks.